The Address resort in Fujairah ... scheduled for completion by 2019. The Cypriot contractor has been tasked with the construction and infrastructure works for the entire 63,677-sq-m site of The Address Fujairah Resort + Spa. The announcement marked the ground-breaking of the luxury hotel and residential development, representing a significant milestone in the progress of the project in Sharm, Fujairah. 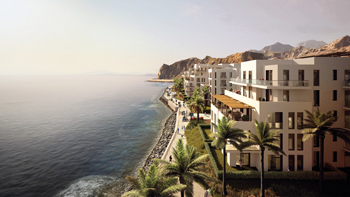 The Address Fujairah Resort + Spa, which is scheduled for completion by 2019, is a luxury development comprising 196 rooms with a range of five-star amenities and four residential buildings that include 172 branded apartments, five beach villas and five garden villas. The development also features a 500-m promenade, beach access and a plaza. Since the project was unveiled in April 2016, Eagle Hills has completed the grading and marine works at the site. 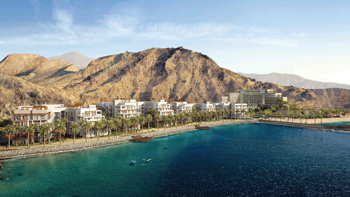 The Fujairah property ... an idyllic destination. As a top-tier contractor, J&P has a proven track record of high level delivery on time and on budget. Its impressive list of previous UAE projects includes Emirates Airlines new engineering centre at Dubai International Airport, Fujairah Freeway and Ras Al Khor Crossing, as well as international projects including Queen Alia International Airport in Jordan, states Christofides. With 23,000 staff operating in nine countries, J&P has delivered high-profile developments in markets throughout Africa, Europe and North America. In the Middle East, the company operates in Saudi Arabia and Oman, as well as the UAE where it has been working since 1971 with offices in both Dubai and Abu Dhabi. Eagle Hills, she states, is developing projects in four international markets, namely Morocco, Bahrain, Jordan and Serbia and the UAE, where it is working to reinvigorating city hubs, improving the standard of living and increasing investment in the local economies. In the UAE, Eagle Hills is working closely with the Fujairah and Dibba municipalities on two projects, Fujairah Beach and The Address Fujairah Resort + Spa, where it is committed to boosting the economies of the Northern Emirates.